← Day 4: Mambo Jumbo Scallops, baby! Besides attacking the outlet malls, I made sure I took the time to immerse myself in the atmosphere of American baseball! Go Angels! Really hot days here, my skin getting really dark. My mom gasped when she video called me. And the smartest thing I’ve done was…. To leave my sunblock behind in Sg! Anyhows, one week down and I finally got myself sunblock! How many weeks to go? I can really sing the song “Wake me up when September ends”. Come on, baby! 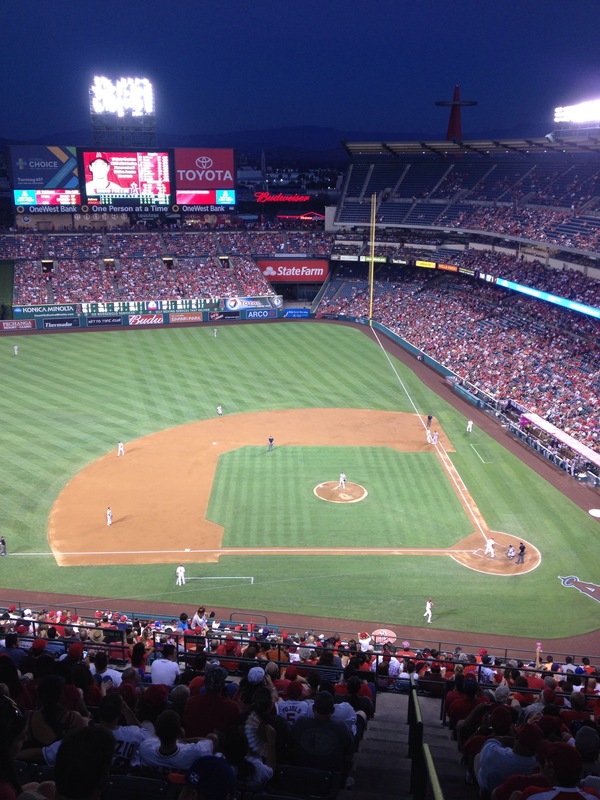 This entry was posted in Work Travel and tagged baseball, los angeles, los angeles angels, work. Bookmark the permalink.